In 1967, The Beatles embarked on an ambitious project, writing and directing a one-hour film, Magical Mystery Tour. The music written for the film is some of The Beatles' psychedelic best. 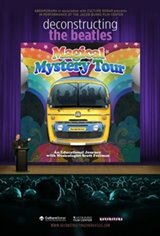 In Deconstructing The Beatles' Magical Mystery Tour, Mr. Freiman delves into the creative process behind "The Fool On The Hill," "Blue Jay Way," "I Am The Walrus," and other selections from Magical Mystery Tour. Scott will also "deconstruct" other songs from the Magical Mystery Tour album, including "Strawberry Fields Forever," "Penny Lane," and "All You Need Is Love."